Software defect mining is playing an important role in software quality assurance. Many deep neural network based models have been proposed for software defect mining tasks, and have pushed forward the state-of-the-art mining performance. These deep models usually require a huge amount of task-specific source code for training to capture the code functionality to mine the defects. But such requirement is often hard to be satisfied in practice. On the other hand, lots of free source code and corresponding textual explanations are publicly available in the open source software repositories, which is potentially useful in modeling code functionality. However, no previous studies ever leverage these resources to help defect mining tasks. In this paper, we propose a novel framework to learn one reusable deep model for code functional representation using the huge amount of publicly available task-free source code as well as their textual explanations. And then reuse it for various software defect mining tasks. 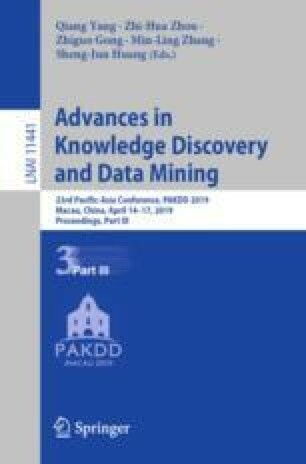 Experimental results on three major defect mining tasks with real world datasets indicate that by reusing this model in specific tasks, the mining performance outperforms its counterpart that learns deep models from scratch, especially when the training data is insufficient. This research was supported by National Key Research and Development Program (2017YFB1001903) and NSFC (61751306).